MOSCOW, September 26 (RIA Novosti) – The proposed bridge across the Kerch Strait, which would connect Crimea with mainland Russia, can be adapted to trains moving at a speed of 200 kilometers per hour (124 miles per hour), Russian Railways head Vladimir Yakunin told RIA Novosti in an interview Friday. "The bridge [across the Kerch Strait] on the current draft is combined – a road bridge and a double-track railway bridge. But it will not be intended for high-speed traffic. Though it can be quite easily adapted for speeds of 200 kilometers [per hour]. It is not a big problem. But we need serious enough, gently speaking, investments to make the entire infrastructure and approaches for high-speeds," Yakunin said. Among the projects to develop high-speed rail connections in Russia is a route from Moscow to Adler. Transport Minister Maxim Sokolov in July did not rule out the possibility of the development of this route in the direction of Crimea. For now, the Moscow–Kazan route was chosen as the pilot project for the high-speed network. 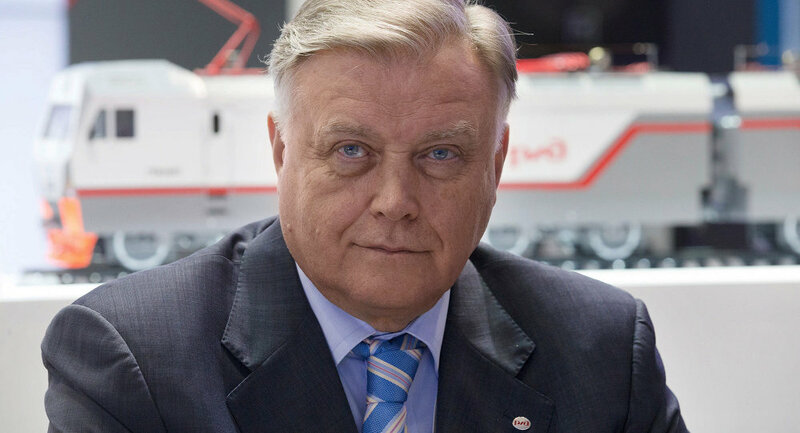 Yakunin also said that building department of Russian Railways, under orders by the Transport Ministry, has already begun work on the construction of approaches to the bridge across the Kerch Strait. "The work, in fact, is already underway. Naturally, everything will depend on the further development of the financial situation, but at least we got the task. We were the only ones who were ready for instant deployment," the Russian Railways head stated. A bridge crossing the Kerch Strait has been proposed by the Russia government to be constructed by 2018-2020 and it was reported earlier that the project cost could exceed 228 billion rubles ($5.9 billion). It will include a road with four lanes of traffic, as well as a two-track railway. The length of the crossing will be about 19 kilometers (11.8 miles). The transport minister in September reported that a single contractor for building the bridge will be chosen by the authorities in a month.